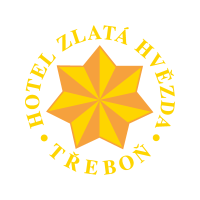 Development Agency of Třeboň was founded in the year of 2004 as NGO operating in the area of Třeboň. Organisation within the frame of social and economical development support is focusing on organization of cultural and free time events, support of tourism and business in the region, cross-border cooperation and sustainable development. Our organisation has established a number of partnerships with foreign institutions and joined several international projects as a partner. Our partners and clients are NGO from the region of South Bohemia and Czech republic, local entrepreneurs and municipalities, foreign partners etc.